They’re totally admiring your feed. Statue outside Dam Square. Where are the most Instagrammable places in Amsterdam? As anyone who has ever set one clogged foot on to the soil of the Dutch capital will tell you, it’s one of the most beautiful cities in the world. Picturesque canals, spacious green areas, attractive narrow houses, and friendly locals – what’s not to love about that? And happily all these ingredients combine into a delicious, photogenic meal. Yes, as much as we all love travelling – having amazing experiences and taking in the culture – we also love taking photographs to show off back home. There’s no better way to illustrate your travel tales to your loved ones back home than by taking some sweet photos. Plus, it gives you warm, fuzzy feeling inside to invoke some insta-envy. It’s okay, we can all admit it. 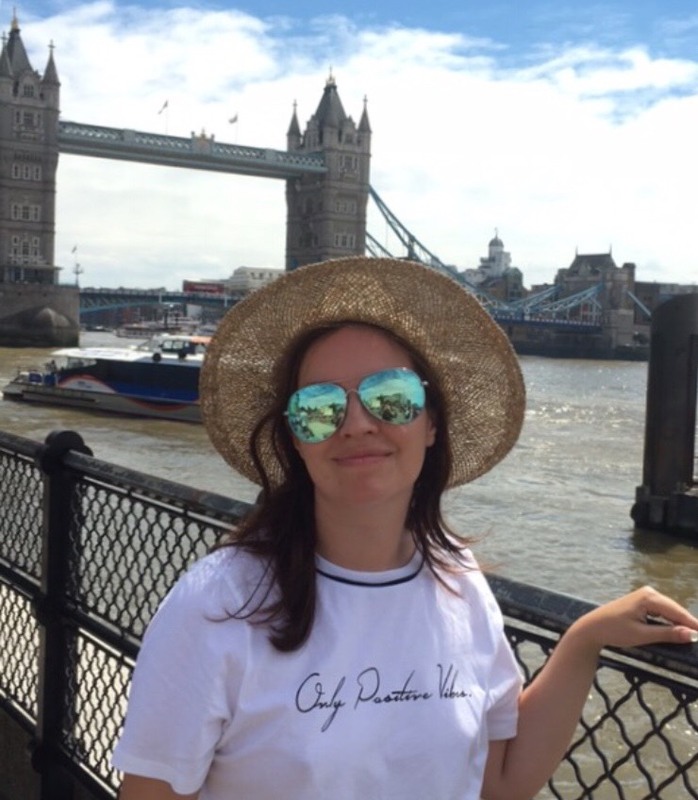 So there’s no denying that in this age of social media, we’re all keeping an eye out when we travel, looking for those places which will grab a bit of attention. It’s a fact of modern travel. And if the location is enjoyed, and if it inspires other people to travel and visit, then I think that’s a pretty good thing. By the way, if you’re looking for a more narrative approach to Amsterdam’s sights, sounds, and best staircases to trip over (in my case), have a look at my articles on One Day in Amsterdam, and Two Days In Amsterdam. And just to be additionally helpful, have a look at this awesome guide to Amsterdam costs and prices – this is a SUPER useful tool for budgeting your trip! Or, you can journey in style by staying at the best boutique hotels in Amsterdam! But without further ado, let’s take a look at Amsterdam’s most instagrammable places, complete with a handy map for your navigational delight. The famous, quintessential IAmsterdam letters at the back of the Rijksmuseum are gone. Rest in Instagram peace. Yes, the two metre tall, 23.5 metres wide letters, were removed in December 2018, despite being instantly instagrammable – the official reason is that it was felt that”IAmsterdam” sounded a little too individualistic, and that a message of togetherness is more Amsterdam’s thing. Or you can believe the unofficial gossip that they simply led to crowding around the Rijksmuseum. Take your pick. But rejoice! Because the sign at the Rijksmuseum isn’t the only one – there’s another at Amsterdam Schiphol airport, and an IAmsterdam sofa at the City Hall. If you want that IAmsterdam selfie, these might be good picks! Of course, the Rjiksmuseum itself is eminently Instagrammable, as well as being a must-do when you’re in the city – if you’ve rightly got it on your itinerary, the Amsterdam City Card is an awesome way to visit it (and the card also covers entry to one of our other Instagrammable spots below: bargain!). It may be a bit of a stereotype, but one of the things you’re going to expect to see in Amsterdam is tulips. And you will, even if you’re out of season – they’ll just be ceramic ones. Close enough, right? But if you really want the motherlode of instagrammable tulips in Amsterdam, then you’ll want to take a short trip outside of the city to the Keukenhof gardens. Established in 1949, and basically created in order to show off tulips from all over Europe, Keukenhof will give you more photo opportunities than you know what to do with. But do bear in mind that this is a bit of a seasonal delight – the gardens are at their best in mid-April, but even this is weather-dependent. If you get it right, you’ll be well-rewarded – the beauty of the assembled flowers is enough to bring a tear to the eye. Bear in mind though that Keukenhof is open from March to May – check Keukenhof’s website to be sure. Regular readers of this blog will know that the Kattenkabinet is one of my favourite places in the world Amsterdam, due to it being filled with cats – cat paintings, cat sculptures, and actual real-life cats. And what’s more instagrammable than cats? Nothing, I tell ye! And if felines aren’t your thing, you may find that a trip to the Kattenkabinet is perfect for your insta-feed nonetheless. It’s located in the lower floors of a 1667 merchant’s house, in an area known as Gouden Bocht, or “the Golden Bend”. We’ll hear more about this area later, but the important thing here is that the Kattenkabinet is the only Golden Bend house which is open to the public. So if you want to admire the rich interior decor, as well as scritch a few kitty ears, the Kattenkabinet is the place to go. The museum is open seven days a week for kitty worship – have a look at the Kattenkabinet site for details. The Damrak is an avenue which goes from Amsterdam Centraal to Dam Square – and once you overcome the plethora of tourist shops, you’ll see that it’s actually the home of some achingly-pretty buildings. They’re just begging to be snapped and shared. If you’re arriving in Amsterdam from Centraal station, the Damrak will probably be your first opportunity for a bit of sightseeing – be sure to check out the Beurs van Berlage building, and the de Bijenkorf department store for maximum Instagram points. Plus, this is also the departure point for a lot of the canal boat tours, so you can take in the Damrak’s electric vibe whilst getting a selfie on the water. “Why would a cafe where everything is painted brown be instagrammable?”, you may be asking yourself. If so, fear not, my rather literal friend. Brown cafes, or bruine kroeg, are the Dutch equivalent of English pubs, decorated in dark woods with smoke-stained walls. It’s this aged, well-worn coziness which give the brown cafes their name. Indeed, the Dutch have their own word for the feeling which is invoked by the brown cafes – gezellig, a sensation of coziness and well-being which comes from your surroundings, plus some good beer and friendly company. Can’t argue with that! Happily, you’ll find brown cafes all over the city – some, such as Café Hoppe or Café Chris, are beloved for their history, dating back to the 1600s. But my favourite was Cafe t’Pakhuis on Voetboogstraat – warm, cozy, and totally gezellig. By the way, a word for my anxiety-suffering brethren – if you’re flying solo and already feeling the dread of mealtime, check out this guide to the best places to eat alone in Amsterdam. It’s invaluable! As pretty little squares go, you won’t find many nicer or more instagrammable than the Spui – a former canal which was filled in, and which now serves as Amsterdam’s beating heart for book-lovers. Yep, if you love your books, this is the place to go, with a variety of bookshops in the area (including English language ones), and a book market on Fridays. There’s also an art market on Sundays, with temptingly picturesque stalls and often some live music. But being the food-motivated traveller that I am, I’d be remiss if I didn’t urge you to head south from Spui and check out Vleminckx,, one of the city’s best-known seller of potato-based delights. I’ve been craving their fries since I first sampled them, and I haven’t found anything that measures up to them since. Get a portion with satay sauce, and prepare to have the best fries you’ll ever taste. Added bonus – I’ll share a great food tip with you! Have a look here for some typical Dutch foods to try while you’re in Amsterdam! You get two-for-one instagrammable views with the Blauwbrug. Not only is the bridge itself beautiful – inspired architecturally by some of the bridges crossing the Seine in Paris – but the views are gorgeous too. The bridge spans over the river Amstel, and it’ll be a nice change to all the canal shots on your feed. You’ve always got to have a contrast, am I right? If you’re there on a fine day, you’ll have blue skies, open waters, and chugging boats to frame your shot. But don’t forget the bridge! In particular, check out those lampposts – yup, even the lanterns in Amsterdam are crowned and glorious! The Jordaan is one of Amsterdam’s most instagrammable neighbourhoods, and consistently one of the most popular with photo-hungry visitors. It’ll certainly be a feast for your eyes. The Jordaan was originally a working-class neighbourhood, and you’ll see plenty of interesting evidence for it – carvings in the stone of houses indicated the profession of whoever was living there, and houses built around courtyards which housed workers. These days, the Jordaan is one of Amsterdam’s most affluent areas: the courtyards have been renovated into highly desirable (and photographable) living spaces beloved of artists, and the canals bloom with flowers. It’s charming, quirky, pretty, and bursting with atmospheric brown cafes – a trip to the Jordaan is a must! The Rijksmuseum is probably Amsterdam’s premier art gallery / museum, fending off fierce competition from the Van Gogh Museum located a stone’s throw away. And it fully lives up to its billing. Indeed, any snaps taken inside the building with be – quite literal – works of art. When you have Rembrandt’s Night Watch as your backdrop, any selfies are immediately elevated to gallery-grade masterpieces. But, have you considered what’s outside the building? Apart from the IAmsterdam sign, that is? Well you should, and you should go and have a look too, because you’ll find some extremely instagrammable spots. Gardens, statues, arches… and one rather fabulous interpretation of Miffy, the adorable Dutch rabbit that you’ll be seeing just about everywhere. Yes, Miffy has gone into the territory of a Picasso-inspired disco ball, and she’s a worthy addition to your social media feeds. As we said for the Keukenhof above, flowers – and specifically tulips – are a quintessential Amsterdam sight. It may be a little stereotypical, but when the Dutch are so kind as to turn their blooms into stunning, instagrammable displays, who are we to say no? 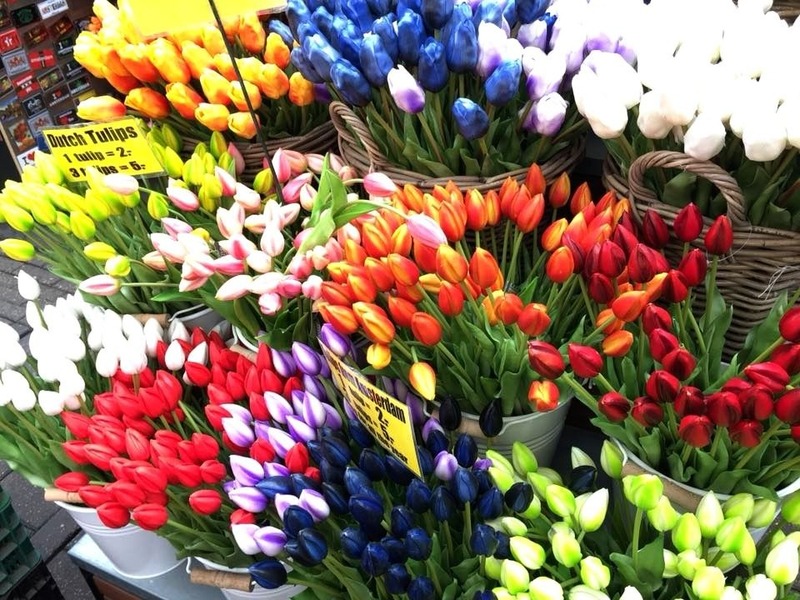 So if you want a flower fix, or you don’t want to venture outside the city to the Keukenhof gardens, take yourself along to the Bloemenmarkt floating flower market. You’ll see all the tulips you can handle, as well as a wide range of other floral displays, and they make perfect photo fodder. Do bear in mind though that some of the merchants have signs up asking you not to take photos inside their stores – please respect these, and stick to the flowers outside. Or just ask permission really nicely. When I told you about the feline paradise of the Kattenkabinet above, did you remember the “Golden Bend” with its grand merchant’s houses? You did? Good! Because the canal which contains the Golden Bend is also perfect for your Instagram needs. Herengracht used to be known as the “Gentleman’s Canal” thanks to the abundance of rich merchants, mayors, bankers, and other such posh folks who had their habitations there. These days, you’re less likely to bump into the mayor, but you’ll still have an instagrammable treat of a canal – narrow houses and narrower boats, framed by serene waters and green trees. It’s one of the city’s best spots for that essential “I’ve been to Amsterdam” canal photo. No, that’s not the name of a Roman emperor. It is, however, one of the oldest botanical gardens in the world, and well worth a visit whether you’re green-fingered, or whether you can kill a cactus (like me). It dates back to 1638, when Amsterdam was the world’s busiest trading city, and sickly sailors meant a need for medicinal herbs. These days, it enjoys a slightly less urgent use as a garden, and its hothouses provide plenty of photo opportunities which will have your followers dreaming of plants, fresh air, and peaceful surroundings. Even better, you don’t even have to go far to reach it – the Hortus Botanicus is just five minutes walk from the centrally-located Rembrandthuis. Let’s face it: no Instagram feed is complete without some food photos. People want to see the unusual snacks you’re nibbling on whilst you’re away, and you’re only too happy to share the envy love. In Amsterdam, you have a plethora of instagrammable noms begging to be snapped, particularly the sweet treats of poffertjes (mini pancakes) and stroopwafels. But what’s the best place to find them? Without hesitation, I’d recommend Albert Cuyp Market. When you’re not browsing the fun tourist shops (clog slippers, anyone? ), you can take your pick of the street food stalls. And photograph them. There’s also some really excellent restaurants and cafes in the area, in case you need something a bit more substantial – check out The Butcher if you’re in the mood for a quality burger. The area which the Albert Cuyp Markt is located in is De Pijp (“The Pipe”), and it’s one of Amsterdam’s trendiest neighbourhoods. From eminently instagrammable meals at the plethora of restaurants (any foodies or food photographers should definitely make a beeline to the district – a lot of the city’s best eateries are located here, to the dappled sunshine and greenery of the Sarphatipark, you’ll find plenty to tantalise your followers with. And if you just fancy a canal walk, head down Hobbemakade until you reach the spot where five canals meet, making a spot where cormorants fish in the waters off a jetty. If you’re needing refreshment after the walk, pop into the bar of the Apollo Hotel and check out their extremely Instagram-friendly bar, with its Amsterdam City Love mural. What better place to declare your fondness for this wonderful town? Fancy a stay in the Apollo Hotel itself? Check it out on Booking.com! The Prinsengracht (“Prince’s Canal”) is one of Amsterdam’s prettiest – indeed, it’s a UNESCO World Heritage Site. It was constructed during the Golden Age of the Netherlands’ trading empire, so you can also rest assured that the buildings built along its edges are going to be pretty darn instagrammable. You’re also more than likely to come across it at least once on your trip, as it has along its edges one of Amsterdam’s best-known sites – the Anne Frank house (and just a reminder since we’re here: please don’t take photos inside the house itself). You’ll probably also want to pay a visit to the Westerkerk, where Rembrandt is whiling away eternity, before getting back outside and enjoying the canal and those gorgeous views! Yes, one of Amsterdam’s most famous sons has a square dedicated to him, and though it may be a little busy and touristed, it’s still worth your precious photography time. In the middle of the square is the man himself – or his monument, at least – seemingly pondering the offices of Booking.com behind him, which is worth the photo in itself. But you also have a number of coffee houses ringing the square. If you want to grab shots of Amsterdam’s weed and partying culture, then this is an excellent spot to do it. If you’re more interested in Rembrandt, check out the museum dedicated to him on Jodenbreestraat – his former home and studio has been lovingly restored, and is full of instagrammable curios. The Oude Kerk, right in the heart of the Red Light District, is a bit of a curiosity which will add some avant garde to your Instagram. A deconsecrated church (the name literally means “Old Church”), it’s the oldest building in the city. But it’s also one of the most unusual. You’ll probably go in expecting to see religious art – and yes, the shell of the building is still intact, so you’ll be able to see some glorious stained-glass windows and memorial slabs on the floor. But these days, the Oude Kerk is used as an art installation, and you can find anything from talking statues, to an entire wardrobe’s worth of coats splayed across the floor. It’s an unusual one, but undoubtedly instagrammable. The Vondelpark is rightfully known as Amsterdam’s most popular outdoor space, and it’s to Amsterdam what Central Park is to New York City. After a day pounding the canals and their accompanying streets, it’s really lovely to walk the short distance to the park, and take in some greenery. But it’s also an instagrammable delight. If you’re really good, you might be able to grab a shot of the lime-green parakeets who live in the park: they’re all descended from a single pair who were released from a pet shop. I’m happy to admit that I tried and failed (miserably) to get a photo of them – be quick on the button; they’re fast! Even if those sneaky parakeets elude you, there’s plenty to photograph, including the paths snaking through the green grass, carefully constructed waterways, and public artworks. You may not have heard of this low-key spot, but you’ll almost certainly have walked past it. Sint Jansbrug is a small footbridge crossing the canal just south of the Red Light District, and it’s easy to miss it completely. But if you do, you’ll be missing out. Not only do you get a good view of the Red Light District without being swamped by tourists, but the bridge itself is adorably instagrammable, in a simple, understated way. It might not be one of Amsterdam’s big flashy sites, but it’s a nice reminder that Amsterdam is a working city, and home to its residents. There’s beauty in the functional. Brouwerij’t IJ (IJ Brewery in English) does exactly what you’d expect – it’s a brewery which does some excellent food, and some even better beers! Yes, it’s a little further out, but only about ten minutes by tram. Or you can walk it, if you have an eye on the calories which you’re about to consume. But either way, you’ll find a place which is almost guaranteed to be one of your favourite spots in Amsterdam. There’s a wide variety of their own beers on tap, and the whole place has a wonderfully chilled vibe. Plus, awesome snacks – try the sausages!But what makes this place so instagrammable? Well, you’ll notice it as soon as you get there – the large windmill next door makes the perfect photo. Beer and windmills; what more could you ask? Dam Square is in the heart of Amsterdam, just a five minute walk along the Damrak from Centraal Station, and is an ideal place to see and be seen (and take loads of photos for Instagram, natch). The old Royal Palace steals the scene – if you happen to be there as the bells ring out the hour, then you’re in for a treat – but there’s plenty more to attract your attention. Aside from street performers and passing trams, it’s a fantastic place for some straightforward people-watching. If history is more your thing, investigate the National Memorial in the centre of the square. It commemorates all those from the Netherlands who died in the war, and contains soil from each province in the country. Whatever your interest, Dam Square and its surrounding attractions are bound to make a home on your social media feed. So there we have it, the 20 most Instagrammable places in Amsterdam! I really hope that this guide is a help in planning a trip to this gorgeous city! If you’re feeling inspired to take in a long trip to the Netherlands (who wouldn’t, when it’s this pretty? ), check out this guide to spending ten days in the Netherlands! More time for taking in all those scenic spots! Also, a MASSIVE thank you to the people who helped me out with photographs for this article, as theirs were much better than mine! I can personally recommend their Instagram feeds, and implore you to go and give them lots of follows – check them out at @nigel_wiggins, @globelle_michelle, @umaturistanasnuvens, @kadae75, and @andreaandersen90. Your kindness will always be appreciated! Enjoyed this article? Inspired to visit Amsterdam? Let me know in the comments below, or pin the image below to Pinterest! Please note that this article contains affiliate links – these incur zero extra cost to you, and merely give me a little bit of money to spend on novelty clog slippers. The tulips are so beautiful! It definitely needs to be carefully planned in advance, though, to get the most from it – I got really lucky, and was just about in time! 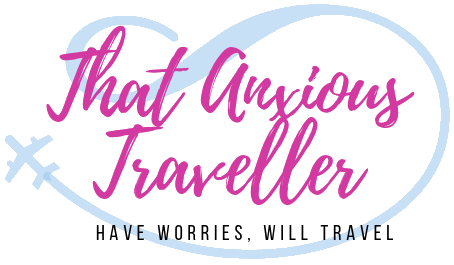 I read a ton of travel blogs and this one of the most comprehensive and well written posts I have ever come across! Some of the recommendations makes me want to go back to Amsterdam again. Thank you so much; that really does mean a lot! ❤️ I definitely need to get back to Amsterdam soon! This post is so detailed and written written. Some of the spots mentions really makes me want to go back to Amsterdam again. Wow this is such a detailed and thorough blog post! I am hoping to visit Amsterdam next summer so will save this for then! Thank you for sharing! Aww, and thank you too! 😊 I really hope this is helpful; I tried to think of all the things I would’ve liked to know before I visited, as well as show off the prettiness! Great list! I have been to some of these but you definitely gave me a few ideas for my next trip. The food and art looks so good! Thank you! Ahh the food was so amazing – it was a very cold weekend when I went there (it was snowing as my plane landed! ), and hot pancakes really hit the spot! Thank you! ❤️ And yes, don’t resist the Amsterdam temptation! I’m hoping to go back soon (it’s only a 30 min flight for me! ); there’s so much to do and see. I’ve got to get to the Van Gogh museum next time!